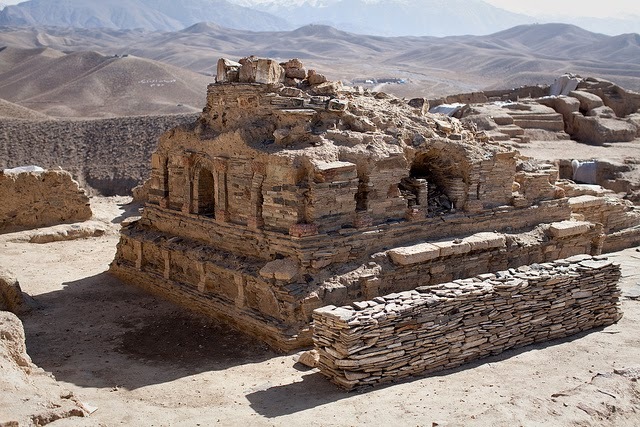 A major theme in my novel is how mining threatens to destroy archaeological ruins in Afghanistan. My story is fiction but inspired by real-life events in Mes Aynak, Afghanistan. A Chinese company plans to mine for copper at the same site where an ancient Buddhist city is buried. Not cool. Here's a stupa, a structure containing Buddhist relics. "The Buddhas of Aynak" Facebook page.